The sun is shining and the air is warm; a perfect opportunity to explore the area around any Old City apartment for rent. Luckily, the city will not disappoint with these upcoming events open to all in the coming months. 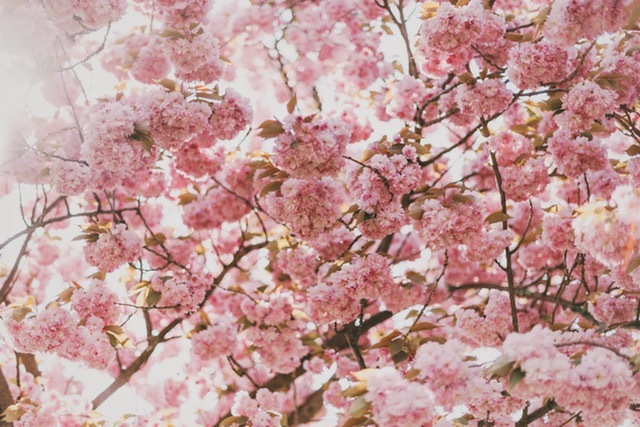 Beginning the first week of April, residents and visitors of Philadelphia are invited to spend time outdoors admiring the fragile pink blossoms of the 1,000 cherry trees as they bloom. There will also be origami-making classes, sushi-making classes and martial arts performances in addition to ceremonial drumming, a traditional tea ceremony, dancing, live music, a fashion show and more. This pop-up features an array of dining options in collaboration with a variety of top local restaurants. The temporary village on Penn’s Landing is a floating restaurant and beer garden with hammocks, boardwalk, colorful LED lights and live entertainment. Put your skates on and enjoy the roller-rink and boathouse style Lodge. This family-friendly location is convenient to Old City with a play area for the kids as well as food and drink options and events throughout the season. May 6th is the South Street Spring Festival where everyone can enjoy free admission to this block party. Come out and see the 125 vendors, 30-plus participating restaurants, 40 bands, 3 stages, 7 performance areas and a bunch of family fun minutes from nearby Old City apartments for rent. Festivities will run along South Street, beginning at Front Street and concluding at 8th Street. There will be a branch off from 2nd Street and South Streets heading west up to Pine Street. The Art Star Craft Bazaar is an award winning retail art/craft show that is organized and juried by Art Star, Philadelphia’s leading purveyors of quality handmade goods. This upcoming show will mark the 14th year of Art Star’s Flagship Spring Art Star Craft Bazaar, which has been named Best of Philly by Philadelphia Magazine in 2010 + 2012. The ASCB will be back on Mother’s Day Weekend at the Great Plaza at Penn’s Landing, along the Delaware River. Get a rare glimpse into a dozen 18th-century private homes of residents on the nation’s oldest residential street during the annual Fete Day celebration at Elfreth’s Alley, June 3rd. Dating back to the 1930s, the traditional celebration is the only opportunity this season for visitors to actually step into the private homes of Elfreth’s Alley and discover how generations after have continued to preserve, alter and add to the historic structures.